Business Overview Products (Int’l Market) Products (Korea Domestic) ODM Info. 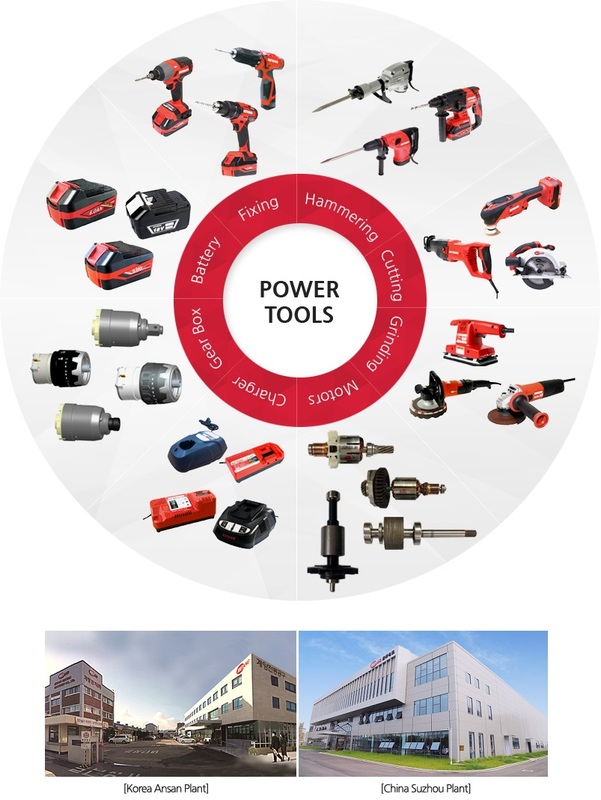 Our power tool business began since the foundation in 1977. We have broaden our product line as high quality professional maker by competing with global top tiers. Now we have more than 120 different tools, corded and cordless. Such broad range and proven quality made our current position in Korea domestic market as top seller. Outside Korea, we are cooperating with global top makers and retailers under their own names. We wish to be top brand maker in Korea and some limited area, and to be quality manufacturer for global makers and retailers in the international market. Keyang Electric Machinery Co., Ltd.